Despite the fact that Obamacare is expanding coverage (the U.S. uninsured rate fell to 9.1 percent last year, its lowest mark ever), and that it has had a lot of benefits so far – like leading a surge in mental health treatment, eliminating lifetime and annual limits on coverage, and lowering overall healthcare costs – the state of the Affordable Care Act is enduring its most difficult time yet. Six years after the legislation was enacted, and four years after the Supreme Court upheld the legality of the legislation, Obamacare is back in the news with negative headlines. Health insurance provider Aetna (AET) announced they’re quitting the state-managed public exchanges that were created in the hopes of increasing competition amongst healthcare providers. That competition never really happened, and Aetna said they’re leaving the exchanges because of medical costs that were more expensive than expected. Bloomberg reports that Aetna only covered 8 percent of people enrolled in Obamacare, but there’s no doubt that other healthcare providers are taking note. The market reaction was fairly muted, both for Aetna and other health companies, as Aetna isn’t the first company to leave the exchanges. However, the news does bring a certain amount of uncertainty to the industry. Will even more providers follow suit? Will the public exchanges continue in their current form? Could further legislation be on the horizon? This isn’t a discussion on the merits of the legislation, as there have been countless debates between intelligent people about whether Obamacare is a good or bad thing. What’s more interesting to us is the impact that such sweeping legislation has on the enormous healthcare industry. There were a lot of worries when the law was first passed, but in the last few years, the industry has definitely stabilized. Perhaps “stabilized” is too gentle of a word. 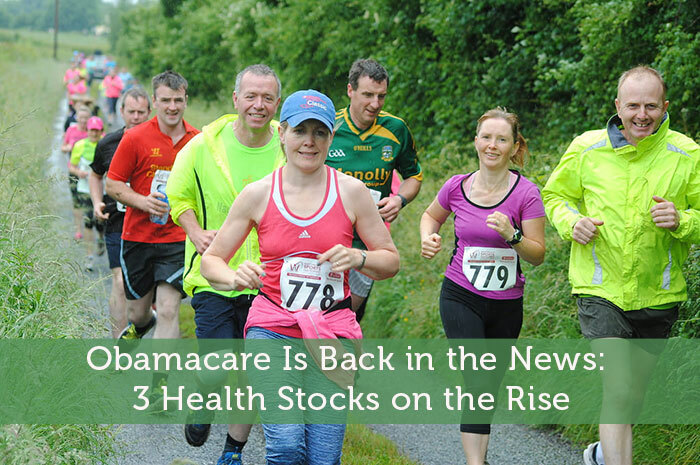 Some healthcare companies have totally thrived in the past few years, making them interesting prospects for investors. Here’s a look at three of those high-performance healthcare stocks. Aetna’s competitor has been having a strong year. Shares of UnitedHealth are up 21 percent on the year, and the previous few years have also brought steady growth to the health insurance company. Like Aetna, UnitedHealth has also quit several healthcare exchanges throughout the U.S.
Their Q2 earnings released in July exceeded expectations and showed earnings up 13 percent compared to the previous year. What makes UnitedHealth interesting is that they go beyond health insurance. Its health services division, Optum, has been making promising strides in health data analytics and other fields. It’s Optum that’s mainly fueling United Healthcare’s robust growth. In Q2 2016, Optum’s profits rose an impressive 46 percent to $1.26 billion. That’s the kind of diversification that allows UnitedHealth to adapt to any legislative changes that could affect its core health insurance business. Compared to Aetna and UnitedHealth, WellCare is a much smaller player in the health insurance industry. Despite a market cap of “only” 5.05 billion, the company has been on a tear and is up almost 50 percent on the year to-date. WellCare provides government-backed Medicaid and Medicare-managed health plans to several million customers. Part of the company’s strong performance in the past few years can be attributed to several acquisitions that helped the company expand to new states. While the previous quarter showed a small decline in the number of customers, total revenues were higher than expected. It’s not just health insurance companies that were impacted — for better or worse — by Obamacare. Johnson and Johnson’s medical devices and pharmaceutical divisions were also affected by the legislation. However, Johnson and Johnson was in a unique position when the architect of the healthcare legislation left the White House to join their company. Johnson and Johnson is big, diversified and as blue-chip as a company could be. Shares are trading close to all-time highs and have risen 17.5 percent on the year. It’s the kind of company that can seem to survive just about anything, thanks to their broad industries that cover everything from household products to complex medical devices. The debate over Obamacare will likely never end, but there’s no doubt that some companies are adapting to the new normal better than others. Who knows what sort of shakeups will come to the healthcare industry in the future. For now, however, some companies are thriving.